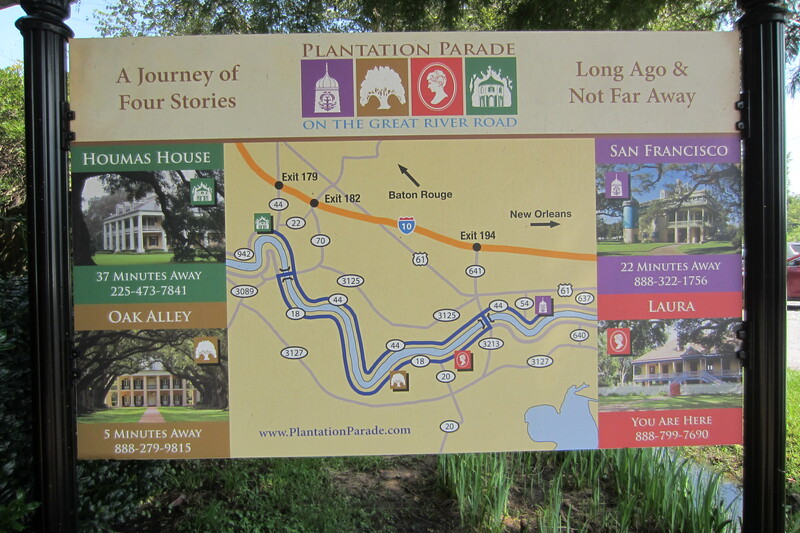 On a recent trip to New Orleans, we decided to take a break from the excitement of the French Quarter and visit plantation country. 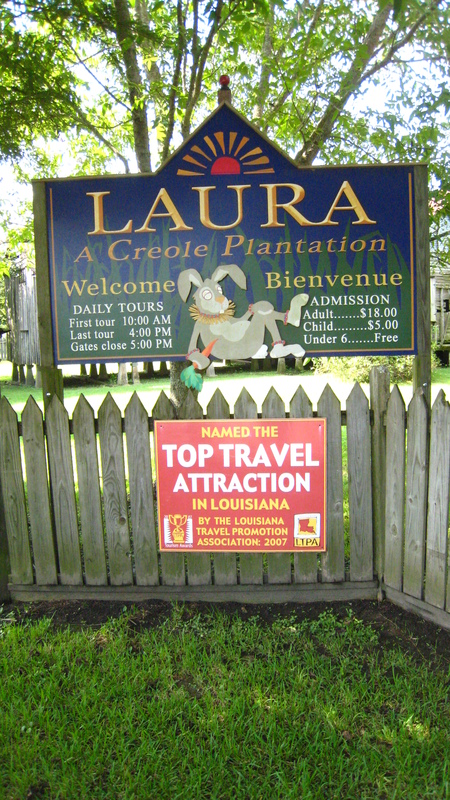 Just 35 miles west of New Orleans in Vacherie, Louisiana is the Laura Plantation, a Creole plantation. 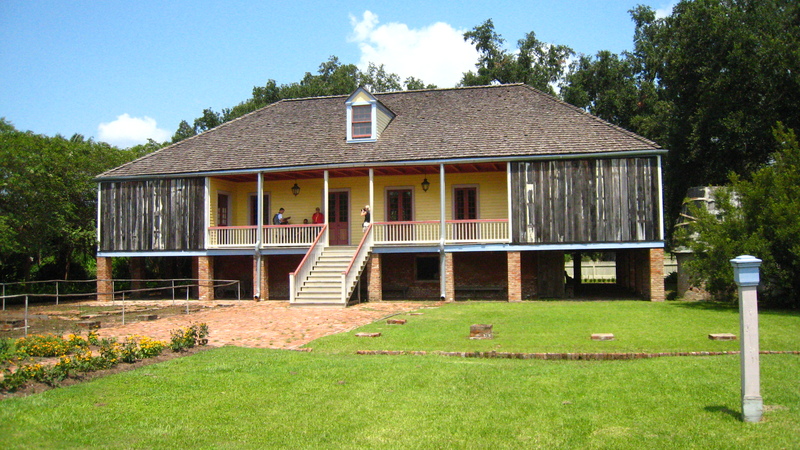 The guided tour, included in the ticket price, is based on the Laura Locoul’s memoir of her life on the sugar plantation, Memories of the Old Plantation Home, which is sold in the gift shop (in English and French) along with many other interesting books and souvenirs of plantation country. 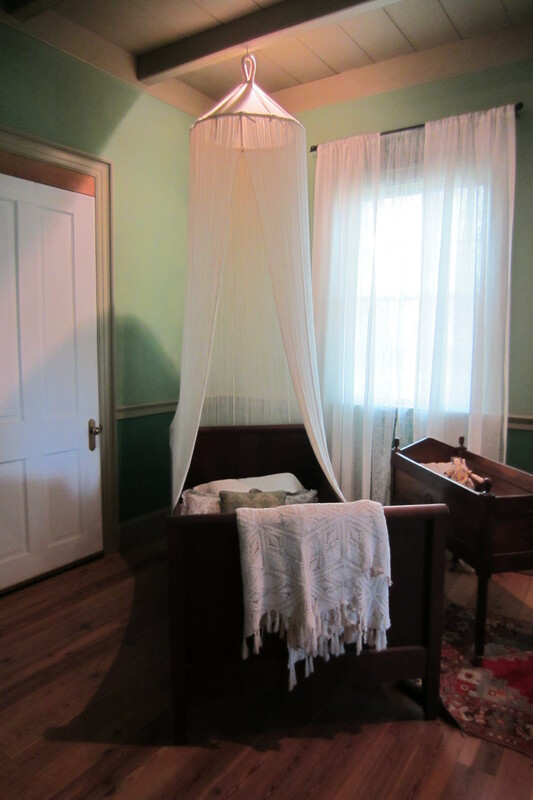 While waiting for your tour to start, explore the gift shop or wait on the wide porch. 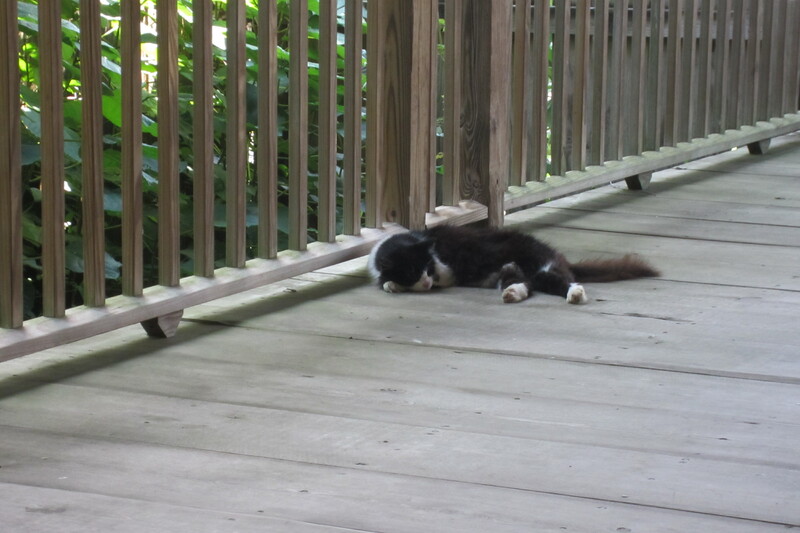 Maybe you’ll meet the plantation cat lounging on the porch on a hot summer afternoon. Stephen, our young tour guide, led us through the restored home, gardens, and slave quarters. His tour was informative and historic as he told us about the home, the architecture, and the people who lived and worked the plantation. His soft Louisiana accent gave an added bit of atmosphere and authenticity. 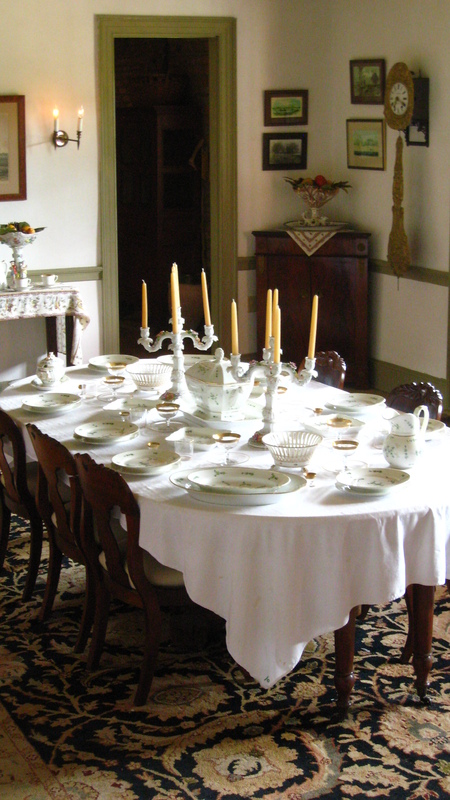 The table was set for Sunday supper in the dining room and it looked as though the baby had just gotten up from a nap. 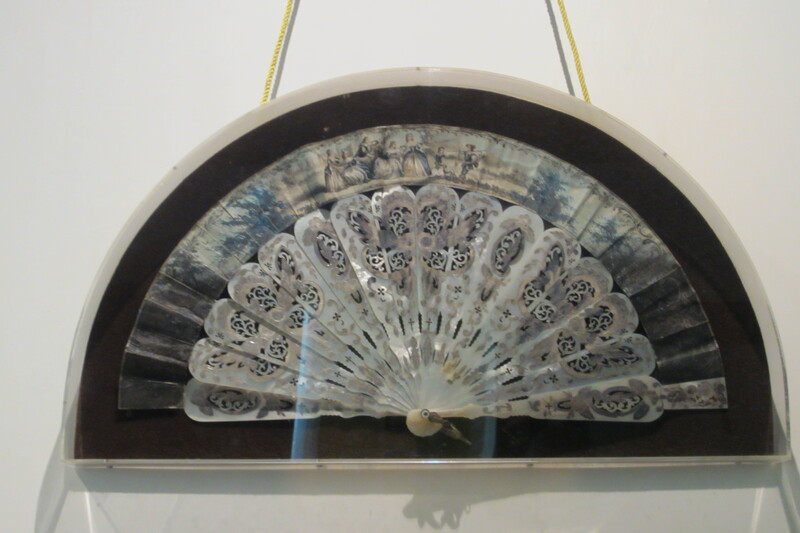 An engagement fan adorned the gallery wall. The back of the house opens into the gardens. 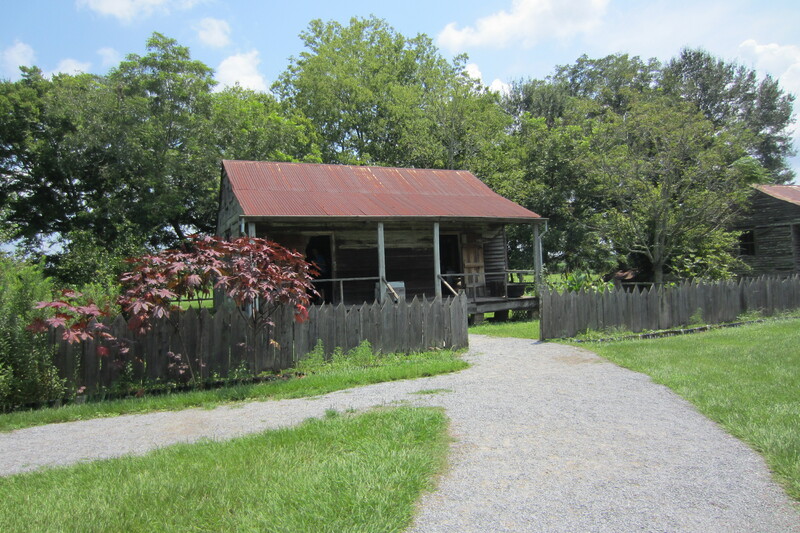 The 1840’s era slave quarters where Stephen, the tour guide, relayed the story of how the old west-African tales of Campair Lapin or Br’er Rabbit were first told. 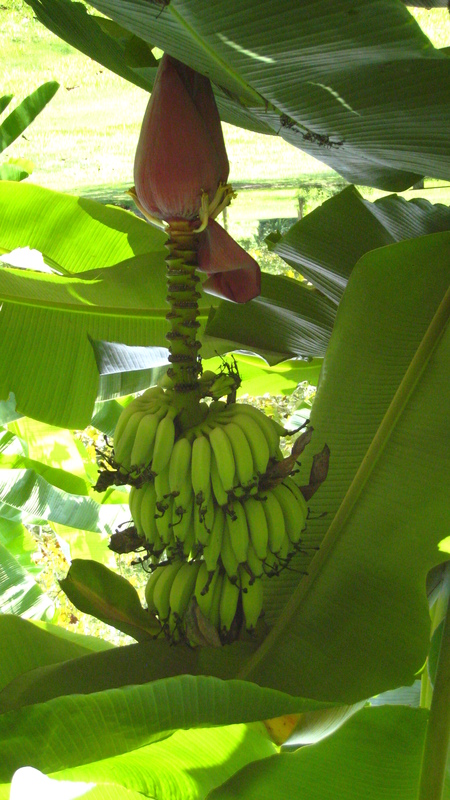 If you have the time, continue your plantation country tour to other local plantations. There’s plenty to see in New Orleans beyond Bourbon Street. Where we stayed: We stayed at the Wyndham La Belle Maison on Magazine Street. 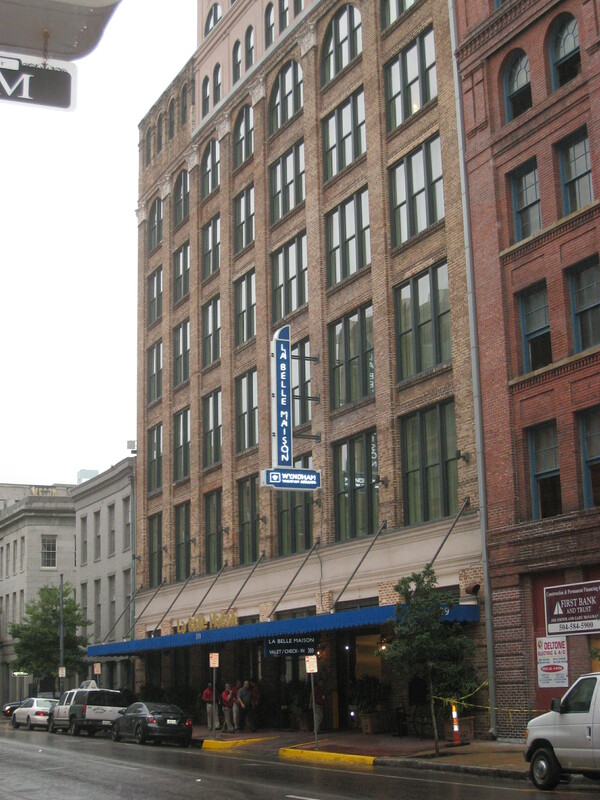 It is a beautifully restored historic building that was originally a printing press. 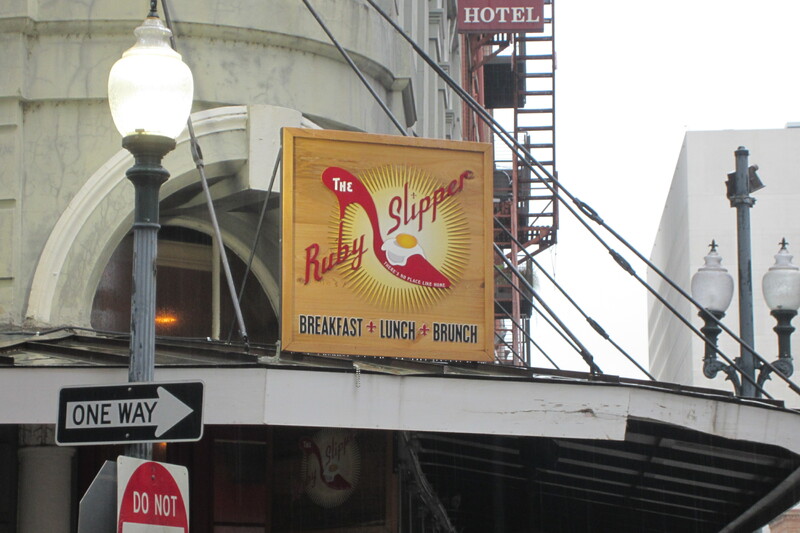 Where we ate: The Ruby Slipper is conveniently located across the street from the hotel. Their breakfasts are wonderful. The weekend special was a Crab Cake Benedict which was fresh and delicious and the pancakes are fluffy. The Bloody Marys and Mimosas were a great start to a rainy Saturday. It was also the morning of the Red Dress Run and a number of scarlet clad participants were getting an early start and a hearty breakfast. What else we did: We went to the World War II Museum, a fascinating place that makes you proud to be an American. If you are hungry or thirsty after your tour through the museum, stop by The American Sector. They have a nice selection of draft beers and signature cocktails. The fries were tasty and the sliders at the next table looked great. 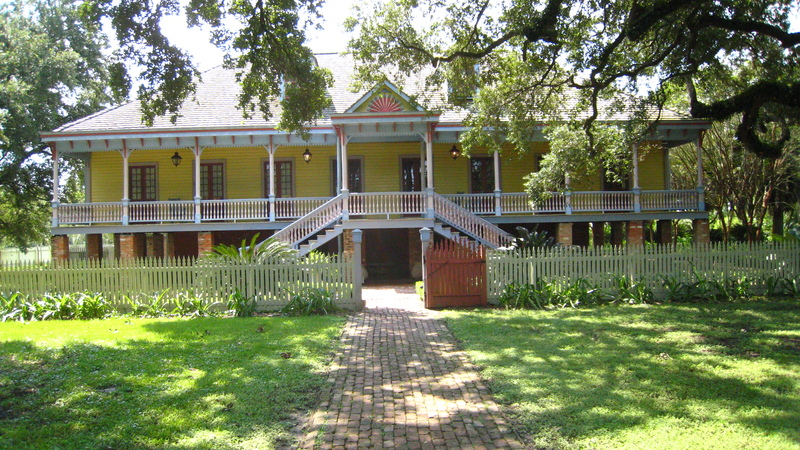 This entry was posted in New Orleans and tagged Creole, Laura Plantation, New Orleans. Bookmark the permalink. What a wonderful journey back in time Teresa! 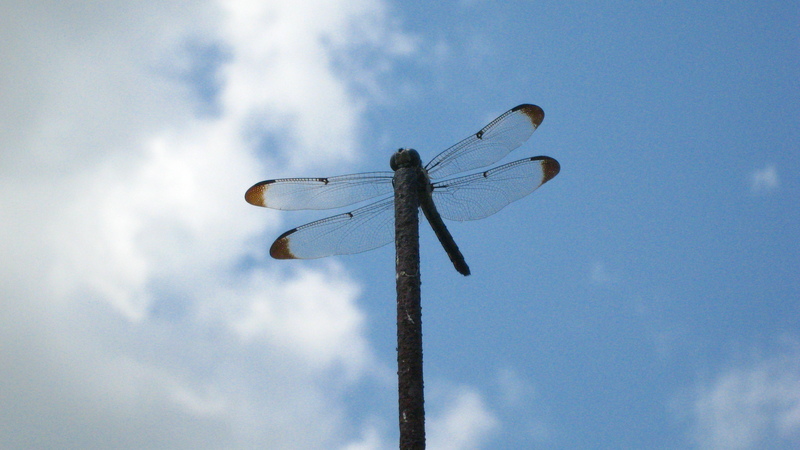 Nice to get off the beaten path to see other sights that would ordinarily be missed. Thanks. Thanks, Kerry. 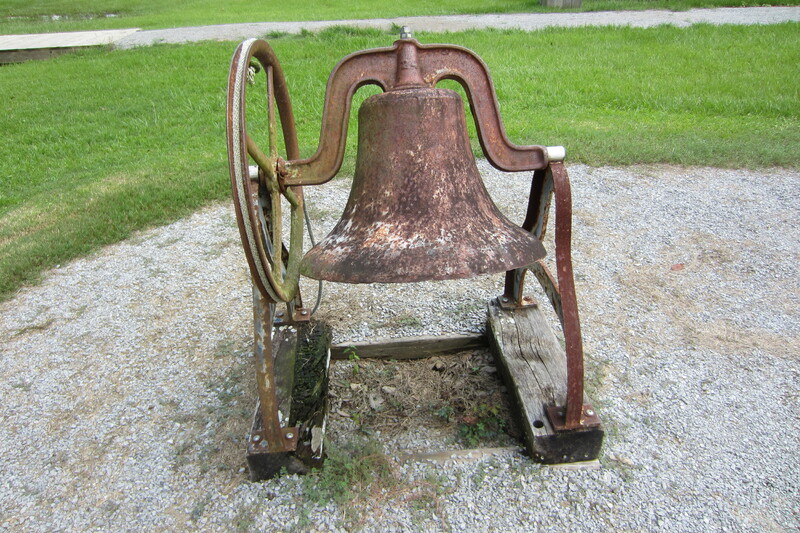 I hope that the next time we make it to Oak Alley. We drove by it but didn’t have time to stop. It reminded me of Twelve Oaks from Gone with the Wind.